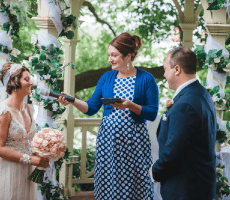 Big Love Civil Ceremonies – Marriage Celebrant Melbourne is all about celebrating the big things in life. It’s about the moments we share with those we love the most. 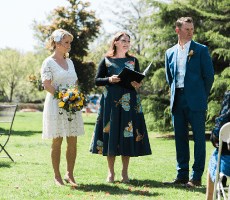 Hi there & welcome, my name is Simone Riviere & I am a celebrant based in the inner northern suburbs of the grooviest city in Australia, Melbourne. 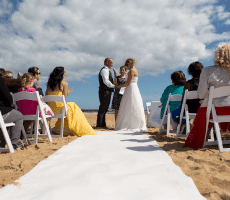 I’m guessing if you’re reading this that you are either getting married, celebrating your love – straight, gay or lesbian with a commitment ceremony, rejoicing the birth of a child with a naming ceremony or marking a milestone in your marriage by renewing your vows. Whichever of these joyous celebrations it is, congratulations! 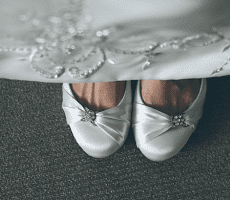 The ceremonies I write are personal, heartfelt, intimate & real. Planning a celebration can be stressful, so my approach when working with clients is to keep things simple, straightforward & relaxed. Check out the feedback from the many lovely couples & families I have had the privilege of working with. I promise I don’t bang on about your undying love for one another as soulmates or preach how you should live your life together in wedlock. I mean, who uses the word wedlock these days anyway! I also promise not to show up in a multi-colored kaftan – blue is more my color! No matter what the occasion, I believe in making your ceremony fun, creative, original and flexible. It should reflect your unique personality and the special individual that you are. We all have our own journey in life and our own story to tell. I can’t wait to join in your’s along the way.